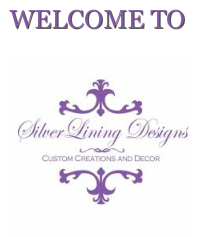 SilverLining Designs ("us", "we", or "our") operates https://www.silverliningdesigns.co (the "Site"). While using our Site, we may ask you to provide us with certain personally identifiable information that can be used to contact or identify you. Personally identifiable information may include, but is not limited to your name, email address, age, home address, phone number, marital status, income, credit history, medical information, education, employment information and social registration numbers ("Personal Information"). Your privacy is very important to us, that is why we will never share your email address or any other personal information. We use the information you provide about yourself when purchasing only to complete that order. We do not share this information with outside parties except to the extent necessary to complete the order. Like many site operators, we collect information that your browser sends whenever you visit our Site ("Log Data"). This Log Data may include information such as your computer's Internet Protocol ("IP") address, browser type, browser version, the pages of our Site that you visit, the time and date of your visit, the time spent on those page s and other statistics. In addition, we may use third party services such as Google Analytics that collect, monitor and analyze this type of information in order to increase our Service’s functionality. These third party service providers have their own privacy policies addressing how they use such information. materials and other information that may be of interest to you. You may opt out of receiving any, or all, of these communications from us by following the unsubscribe link or instructions provided in any email we send.